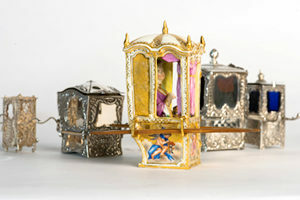 Style c. 1755-60. 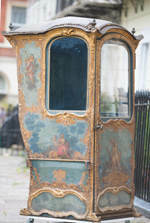 Price £5,450. 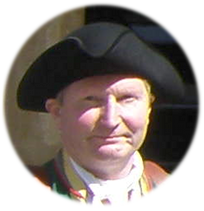 Fashion c. 1790-97. 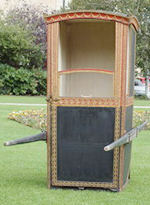 Price £10,500 . 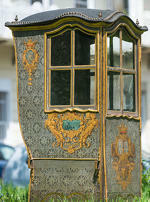 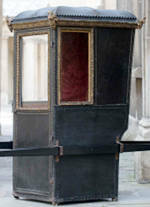 Avignon ‘top of the range’ Sedan Chair. 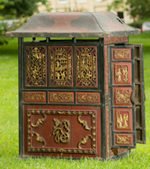 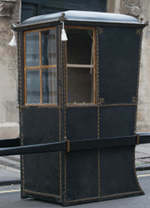 Turin Black Neat’s Leather Sedan Chair. 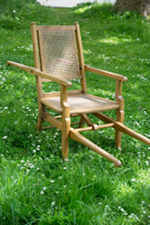 Folding Carrying Chair by Dupont of Paris.